Spencer West, 31, Toronto. 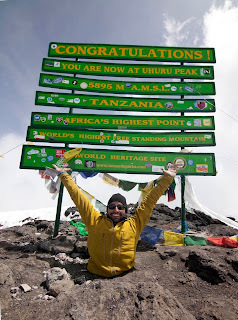 I'd not heard of his name or known anything of him until today when I read that he has climbed Mount Kilimanjaro (which in itself is an incredible achievement). But Spencer West had reached the summit with a special difference. A rare spinal disorder meant that Spencer had had his legs amputated when he was a child. Doctors told him that he "would never do much with his life". 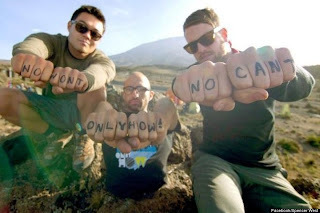 This led to Spencer beginning his journey to defy this by becoming a motivational speaker and starting his 'Redefine Impossible' campaign to raise money for Free the Children's sustainable water initiative in Kenya. 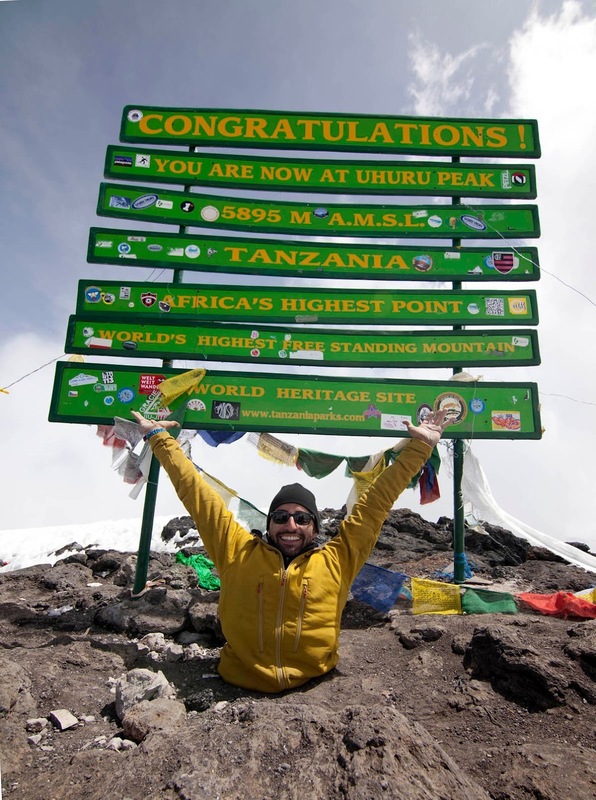 Spencer West climbed the summit by using his hands alone for an astonishing 80% of the journey. The climb was completed over 7 days and West has raised an incredible $500,000 for the initiative. When I read the name of the campaign, I couldn't help but keep saying it. It really struck me as a very powerful and emotive title which challenges the attitudes which were expressed regarding West's recovery. The clinical judgements or subjective opinions from health care professionals (based on a generalisation of previous experience relating to prognosis or future outcomes) can be very damaging and distressing for the individual and family. I feel it is really important to challenge these attitudes in the workplace, and as a newly qualified OT I will want to work in a person-centred way, and approach interventions as possibilities, instead of settling for the easiest, and often risk adverse option. In my experience, interventions can sometimes be held back because a team attitude may deem an intervention 'impossible' without any concrete and transparent justification or evidence. Of course, I recognise there are limitations in practice, and each individual has personal limitations, however I do feel that sometimes in practice, incredible opportunities can be missed because they are not given a proper chance.
" Things do happen, good and bad, to all of us. But what defines us is not what we look like, the colour of our skin, or how many limbs we have. Not even close. It's who we are inside, and what we choose to do with the time we are fortunate enough to have on earth. Today I reached the top of the tallest free-standing mountain in Africa by, for the most part, walking on my hands. What is possible for me has now been redefined. That is my hope for all of us. You don't have to climb a mountain to redefine your possible. But thank you for climbing this one with me. How will you redefine your possible?"